As the gambling industry is expanding with more operators and players coming into the picture, the money put into such ventures is also increasing significantly. Talking about casinos where organizers deliberately resort to sabotage to aggrandize their profits, even the cases where such game organizers are inclined towards welshing on their agreement of paying the door-prize or jackpot money have become general. Games of chance have always been prone to manipulation and frauds because of trust in a third party. And where trust resides, there is always leeway for malpractices. Also, the growth of bookmaking is restrained by centralization and regional limits. Moreover, online betting and gambling are controlled by complex computer algorithms which makes it even easier to disrupt its integrity. A promising solution to these problems is integrating the transactions in a commonly distributed ledger as in the Blockchain. Blockchain gaming platforms disintermediate third-party operators who manipulate betting outcomes and increase transaction costs. Thus allowing the users to have a secure, trustless and faster experience of betting. There are many platforms where users can play with the anonymity of identity, transact with the use of cryptocurrency and all this will be engineered under the Blockchain technology. Some known examples of such platforms are Let Bet and Proof of Toss. How do we ensure candid results for all stakeholders? To play a fair game in the gambling industry looks no less than a sham. Another important issue with game organizers in casinos is that: using computer algorithms, they can predict the betting pattern of a certain participant in the bet. This strategy seems treacherous to the person’s overall winning percentage because then it becomes obvious to judge his/her next move. For instance, a betting game floated online by a group where Peter initially bets for $100 and loses but the next time he bets for double the amount then for $300 and so on. It is quite easy to conclude Peter has a tendency to double high bet on every win/loss. If it is so easy for us, in no time will a trained algorithm break through any peculiar betting habits. The game (used for betting) algorithms will be done in the form of smart contracts and uploaded to the Ethereum network. Fairwin is an organization dedicated to ensure upright winnings in the online gaming industry. The whole game process takes place outside the Blockchain system which allows for instantaneous moves in the game. There is no more need to wait for the validation of the transactions; only the depositing and withdrawal of funds will be done on the Blockchain base as stated in their whitepaper. The smart contract code will define the game combinations and calculate the winnings. At that, any player will be able to see the proof that the game combination was generated by a smart contract precisely since it is signed with a unique key. If there is any intervention regarding consensus, everyone in the network will be aware of it. Is it possible that every stakeholder wins? Yes, in a game where there is no discrimination regarding the role of a person in the game sounds exactly like a win-win solution for all. The Proof of Toss protocol widens the possibilities for users and makes betting more transparent. It uses Smart Contracts, transparent rules and the wisdom of the crowd. Here each participant can take the role of creating an event (bet), participating in it or judging and defining the winner. Wins and bets in this are paid using the “Toss” token. Smart contracts are used to protect this system against malicious attacks. Decentralization and cryptocurrencies wipe out the borders and ensure interaction between users all around the world. While one of the goals of Blockchain is to introduce decentralisation in any network, Proof of Toss enables players to find rare wagers or if they don’t find one, they can issue it on their own and publish that in the Proof of Toss ecosystem and earn Toss tokens with no risk or loss of money (unless they lose even after challenging the outcome of a bet). One can earn with virtually no risk at all by taking the role of a judge and hence a win-win state for all. A DCJ (Distributed Crowd Judge) process is responsible for delivering results of an event to the network by way of voting which is carried out by randomly selected judges. The money earned by the players and judges is transferred immediately through wallets. All of this process requires transparency of all transactions, control over personal funds with one wallet, pseudonymity (no KYC), irreversible transactions, fair results (obtained through consensus in the ledger), and high speed of transactions. 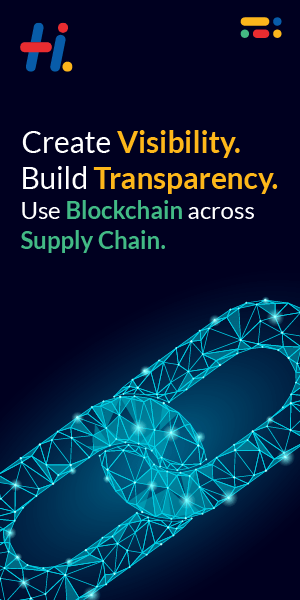 The high speed of transactions is achieved here by the use of RSK’s (Rootstock) smart contracts which are built as a sidechain or 2-way peg to the Bitcoin Blockchain thereby increasing the transaction speeds at 400 transactions per second by creating blocks at 10 seconds of average interval. Being a sidechain of Bitcoin, RSK provides a high level of security by merge-mining that prevents the double spend problem. This article aims at portraying the need of trustless, secure and scalable distributed ledgers for storing sensitive transactions involving money. Here, the gambling and betting industry is one probable customer of such a service. As it is said by Alex Pacheco: “Damaging the enemy financially is a fair game”, but for saving animals. In our case, this accounts for infringement on the part of the event creator. To surpass the regional and legal restrictions and to connect all the stakeholders in this growing industry, the Blockchain technology can foster security and integrity. in case your net is quickly.